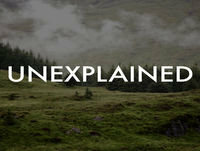 Unexplained is a bi-weekly podcast about strange and mysterious real life events that continue to evade explanation. A show about the space between what we think of as real and what is not. Where the unknown and paranormal meets some of the most radical ideas in science today.